RCO Academy Organ School offers one-to-one organ lessons for students of all ages and standards: our regular students are aged 10 to 90, and we accept students without audition at all levels, whether beginner, intermediate or advanced. With around 20 teachers around the UK, we currently provide one-to-one tuition to nearly 300 students. We are committed to providing tuition which is as flexible as our students need. Your commitment is only to the individual lesson or event you have booked; we never ask you to commit to a whole term or course of lessons. Every student’s tuition pattern is therefore unique. It may comprise organ classes only, or individual organ lessons, or any combination of the many opportunities we offer. Students can work towards any objective agreed with their organ teacher, for example a church service, the attainment of a certain standard, fluency with their feet, a concert or an examination. We offer organ tuition, support and guidance for all forms of examination. For graded examinations we recommend those of the Associated Board of the Royal Schools of Music because of its carefully composed syllabus, thorough administration and ongoing moderation of standards. 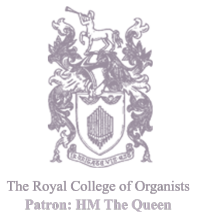 For diplomas we recommend the Royal College of Organists as it uses both detailed criteria and up to three specialist examiners for the performance diplomas. Nevertheless, when students wish to use another examining system for various reasons, we are happy to give advice and support. To ensure you consistently move towards your personal objectives we carefully monitor your progress with our teachers. Our (completely optional) procedures include a review with your organ teacher, at which you can reflect on and discuss your progress towards your goals, and set further targets for the future. In order to maintain the quality and consistency of our organ teaching, we work to a well-established set of criteria (click here to view organ teaching criteria) in determining our teaching team. All RCO Academy Organ School teachers have been subject to relevant background checks regarding qualifications and experience, as well as those relevant to child protection and vulnerable adult matters. careful preparation of each lesson. Organ students 19 years and under also have the option of committing to our Junior Organists' scheme. Junior organists in the scheme pay 15% less than the adult rate for lessons, up to a maximum of ₤45. Please email Anne.MarsdenThomas@rco.org.uk for further details. Please click here to see a full list of RCO Academy Organ School teachers, or click here to use our Find an Organ Teacher service. IDENTIFY the potential in every student. Our teaching style confirms that every person, whatever their starting point, has a unique musical ability. Therefore, in our teaching we affirm this musical ability while addressing challenges and helping the student to reach agreed goals. EQUIP the student through expert advice on repertoire, technique, registration, keyboard skills (as required) and practice methods. As a team, we also offer improvisation, aural and academic studies where required. INSPIRE the student by thorough, informed and well-prepared teaching. SUPPORT the student by offering a professional and flexible service: single lesson appointments, so that the student always remains in control of lesson frequency; efficient administration; documentation of each lesson; periodic progress reviews. "My lessons are challenging, inspiring and great fun." "I wish I had been taught like this as a youth... it would have made such a difference." "I always find the lessons challenging, but always interesting and stimulating." "I think the lessons are great. (My teacher) is very patient and encouraging and gives very detailed advice on how a piece should be played."